Về tôi Our mission is to help traders by sharing easy-to-learn trading strategies. 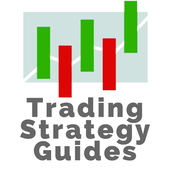 Head on over to our blog https://tradingstrategyguides.com/blog/ for more information on all of our trading strategies! We publish one new strategy per week! We are passionate about helping traders and investors of all levels, all walks of life, all types of goals and motivations, anywhere in the world.